Years ago, Domingo and Nicole were both happy party goers. He went trying to avoid another person at the party but wanted to still enjoy himself, so Nicole offered to be his "pretend" girlfriend to make it a little easier. The rest is history, and they've been together ever since through their shared love of food, Hampton Roads, and their sweet bulldog pup, Neville (named after the one and only from Harry Potter, of course!). 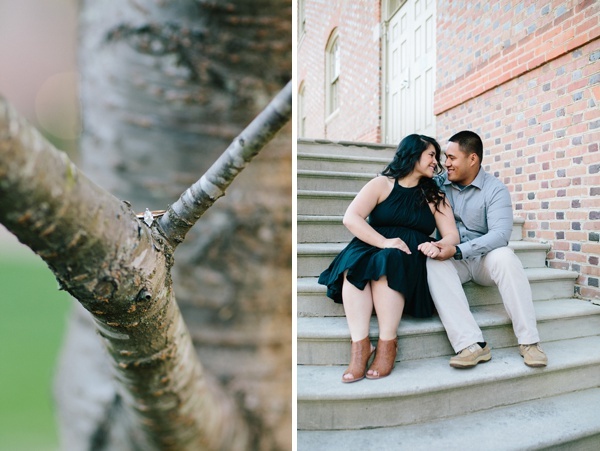 Domingo and Nicole wanted their engagement session with Chelsea Anderson Photography to be among the pretty spring trees and knew they would find it on the campus of the College of William and Mary in Williamsburg. 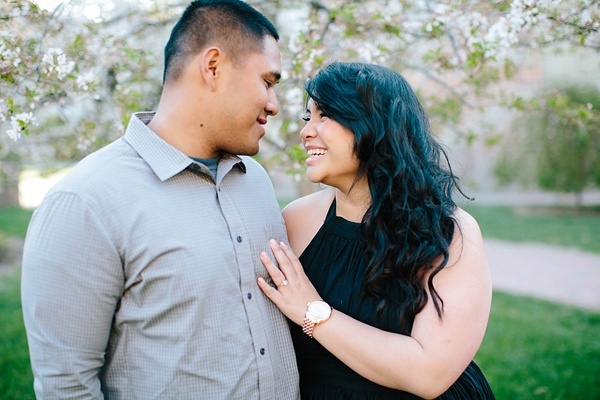 Between Domingo's fun personality, Nicole's beautiful smile, and Neville's snorting, it was a beautiful day in the sunshine and lovey-dovey moments!